Website design for Viewegh & Associates, a custom home builder in Central Indiana. 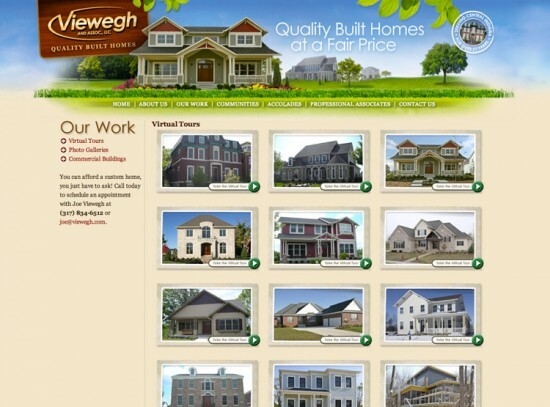 To create a portfolio of work for the client to share with prospective home buyers. We wanted to match the premium quality of each home, but also create a sense of affordability (didn’t want to scare of folks by looking too ‘elite’). 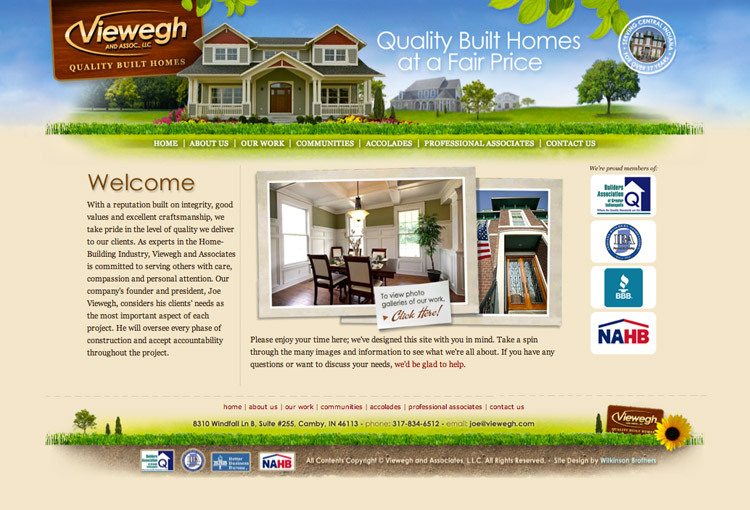 Joe Viewegh realized his demographic of prospective clients expect a complete web presence when shopping for a home builder. People these days want to peruse a body of work and determine a company’s credibility by visiting a thorough website. This is the kind of responsibility we take seriously…but had a lotta fun when applying Viewegh’s personality and character to the look n’ feel of his site.